GHL 218 - Most Powerful Weapons in Comics LIVE! What is the most powerful weapon in Comic Books? The Infinity Gauntlet? A Green Lantern Ring? Listen as we break it all down in a LIVE panel recorded at Comic Con Revolution in Ontario, California! Special guest Comic Book artist Jonboy Meyers joins! Who are the two women known as The Daughters of the Dragon and how do they know The Heroes for Hire? Learn the history of the partnership between Misty Knight and Colleen Wing since they've made their small screen team debut. Supergirl Comics Writer Sterling Gates joins us to decide the TOP 5 Supergirl Stories! Who are the five teenagers who ride space lions that combine to form Voltron? Learn their history before Voltron Legendary Defender's new season debuts! Special guest Black Hollywood Live and AfterBuzz: Voltron host Alexis Torres joins the discussion. 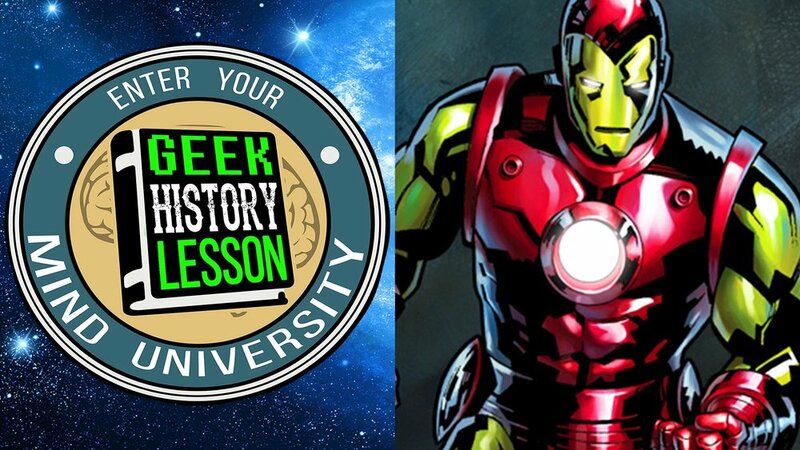 Tony Stark was once replaced by a teenage version of himself on the Avengers, so learn more about Iron Man as he enters the modern age of comics in our podcast! Tony Stark is the Iron Man, but how did he create that wonderful suit and join the Avengers? Find out in this episode! The time-traveling son of Cyclops makes his first live-action appearance in Deadpool 2. Let's dig through the time stream to learn the origin of CABLE! The villain of AVENGERS INFINITY WAR stands revealed as we explain the history of the Mad Titan known as Thanos! Time to reveal the history and adventures of Superman in the Silver Age! Who are the greatest villains in Superman's rogues' gallery? Only Stupid Answers co-host DJ Wooldridge (https://twitter.com/djtalkstrash) joins us for a super special discussion. She's the hometown best friend of Superman who eventually becomes Superwoman! Learn the origin of Lana Lang! Who are the digital monsters known as DIGIMON? We're joined by Emma Fyffe to decode them all! Hal Jordan Green Lantern moves towards the Blackest Night in our second episode about the most famous Green Lantern from Earth! Hal Jordan has been called by many "the greatest Green Lantern of all time." Let's travel to Oa and learn his Green Lantern comics history. Shuri, the sister of T'Challa, was one of the standouts of Marvel's Black Panther. But did you know that she becomes queen of Wakanda in the comics? Listen up students. Who are the best-supporting characters in all of comics? Listen as we break it all down in a LIVE panel recorded at Planet Comicon in Kansas City! Special guests include Patrick Gleason and Stephen Schleicher. Romance is a big part of superhero universes. So it's time for us to answer the question: Who is the greatest couple in the Marvel Universe? The KING of Wakanda is here! Learn the origin of T'Challa before he arrives in his first solo movie, Black Panther.